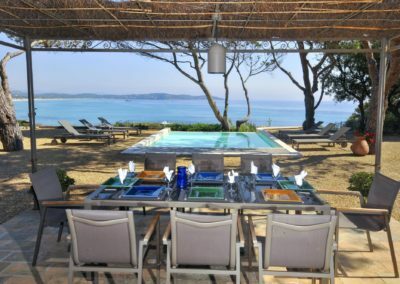 Pampelonne beachfront villa with pool – Nestling amid tall maritime pine trees and Mediterranean shrubs bordering Pampelonne’s sandy beach, this lovely, air conditioned villa enjoys a unique situation in one of the most exclusive areas of the French Riviera with unrivalled sea views across the bay stretching from Cap du Pinet to Cap Camarat. 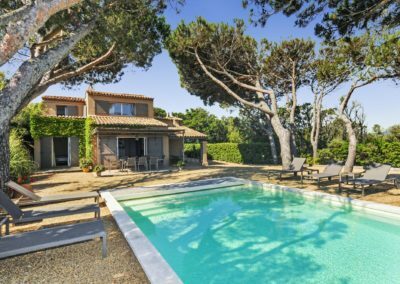 A few steps down from this villa is a path leading to a rocky cove and the sea, with the famous Pampelonne beach and clubs within 25 metres, and the village of Ramatuelle further inland, less than a couple of miles away. 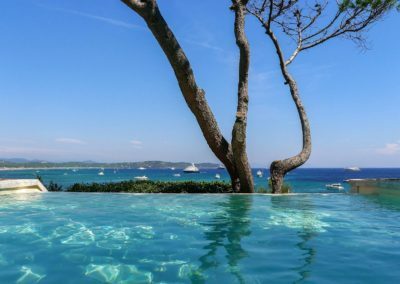 Every day you can wake up to a breath-taking panorama; take a swim in the infinity pool and enjoy your lazy morning breakfast under the pergola, as you watch boats sailing away towards St Tropez. 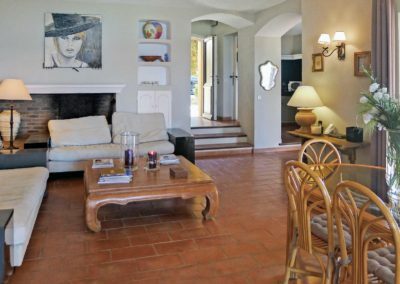 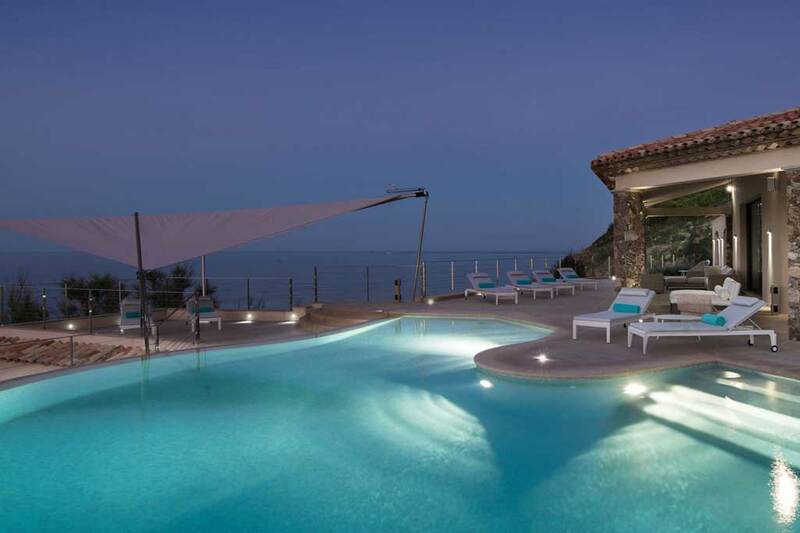 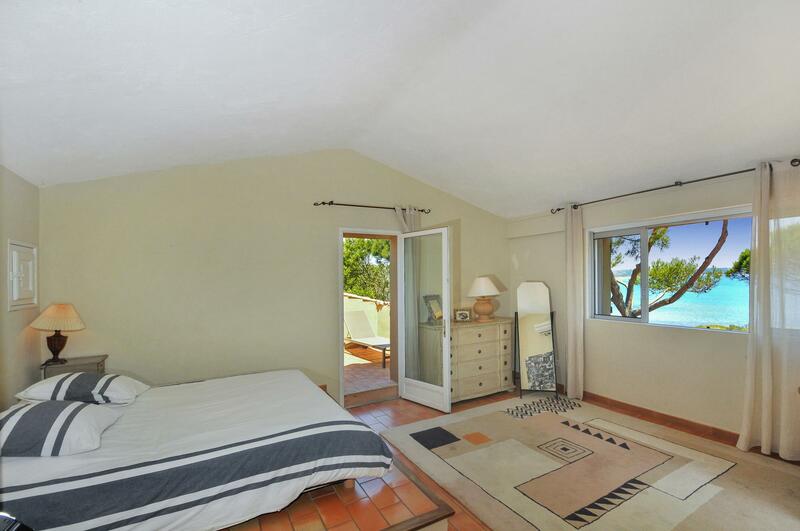 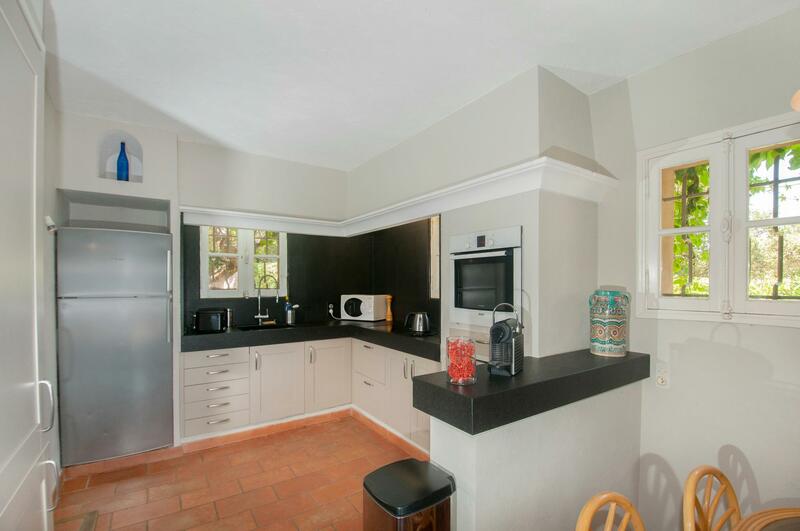 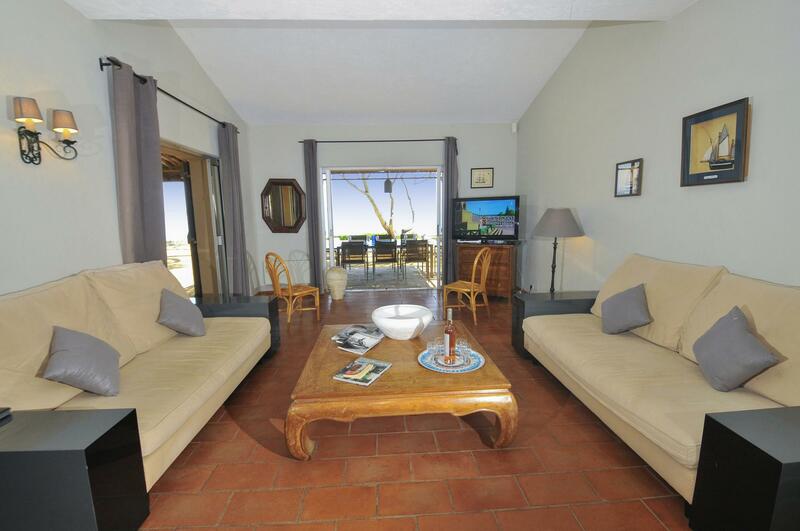 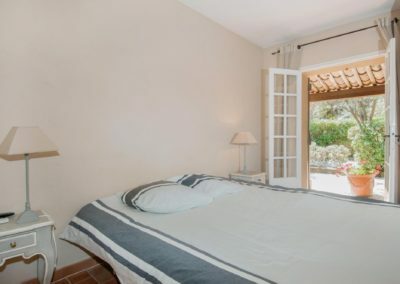 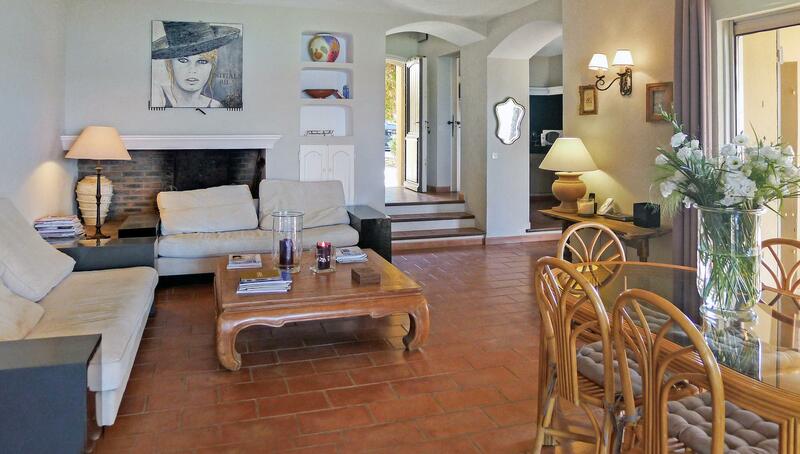 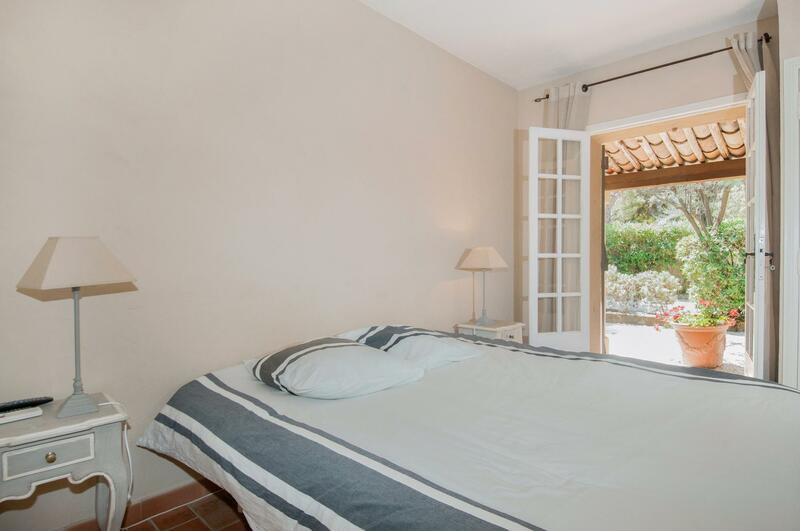 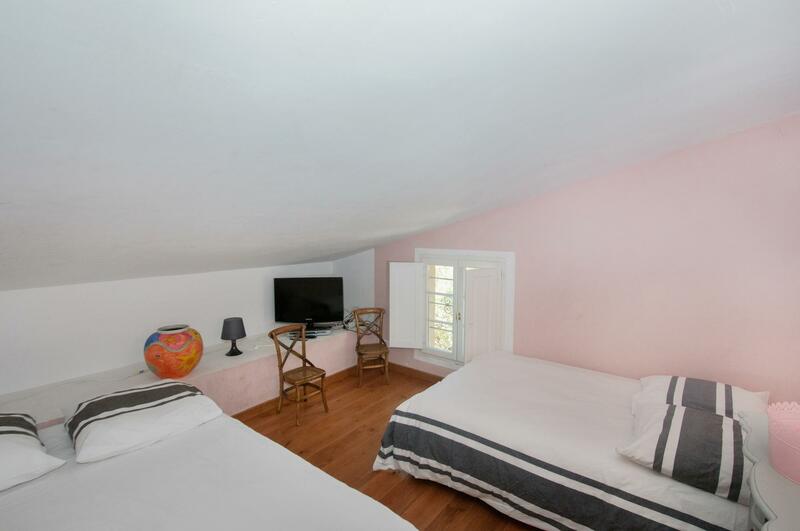 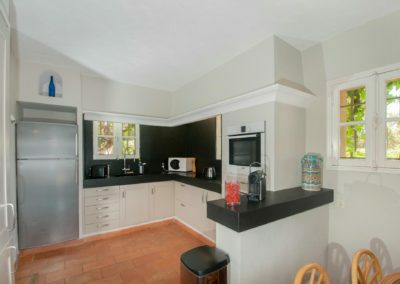 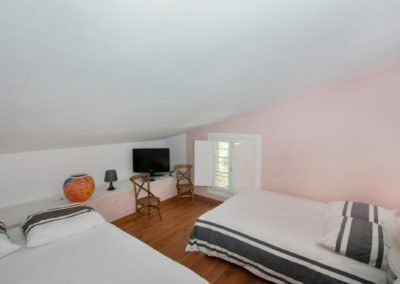 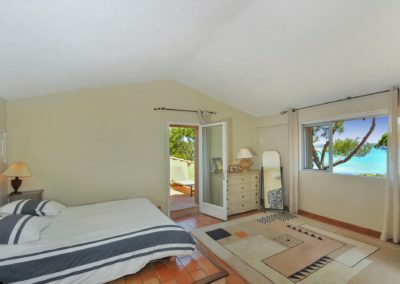 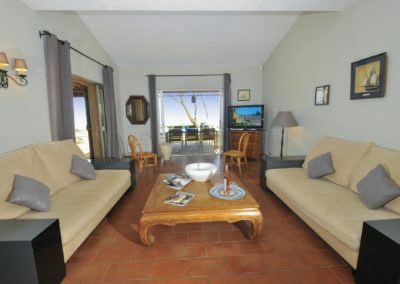 This property is modern and tastefully furnished for a comfortable and relaxing holiday. 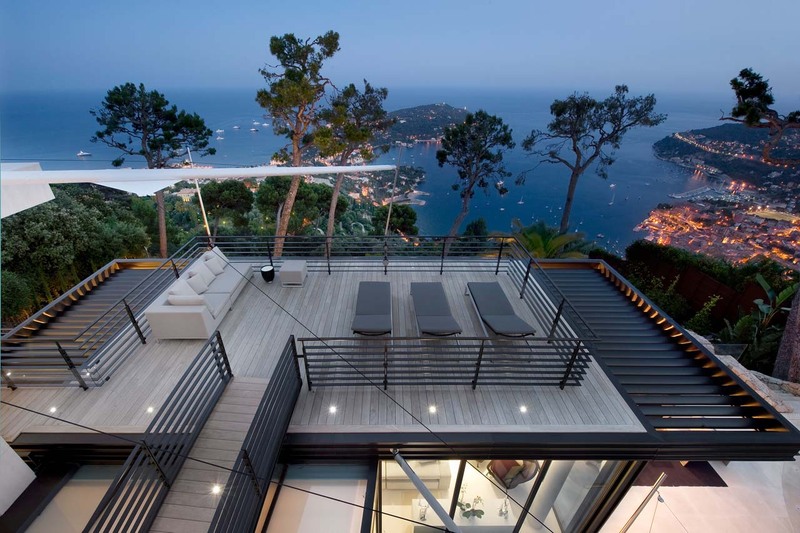 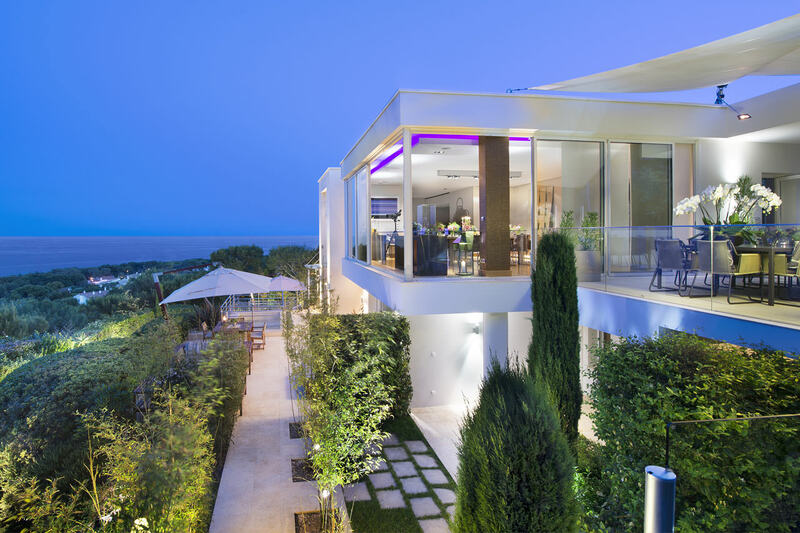 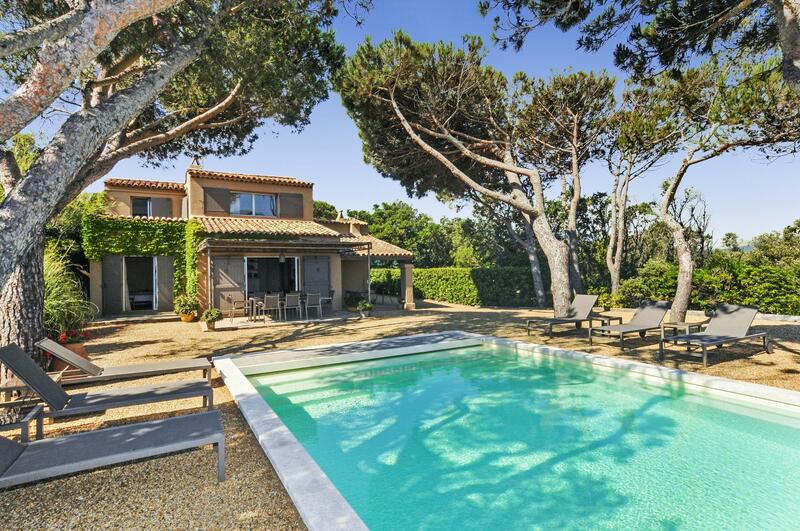 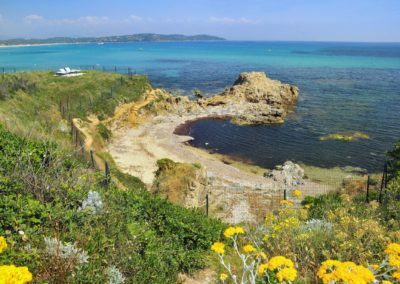 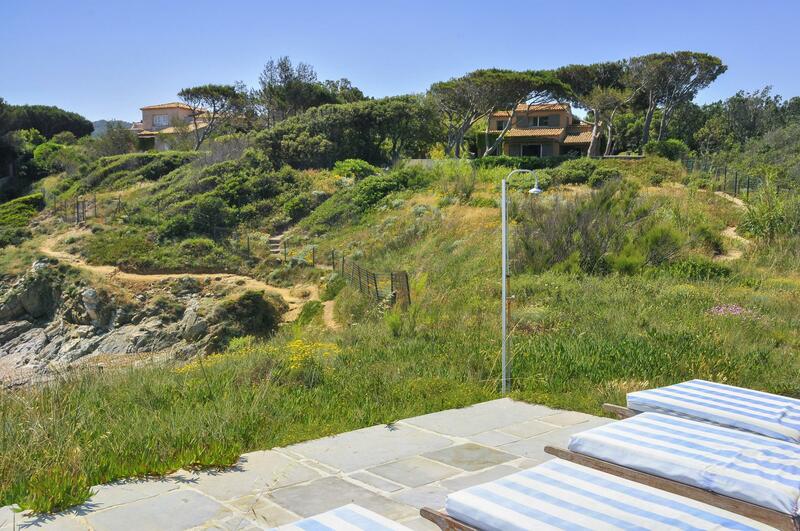 Ideal for families and children who love the seaside, water-sports and life outdoors, Pres de la Mer would also appeal to those wishing to ‘dip in and out’ of glamourous St Tropez and its Riviera, only five miles away. 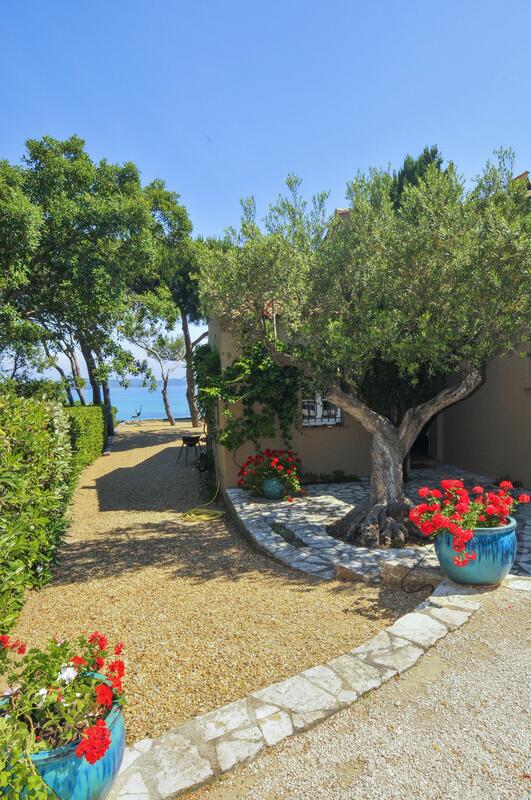 A charming fishing port still retaining some of its original charm, St Tropez is also a preferred destination of celebrities and film stars often mooring their yachts in the bay. 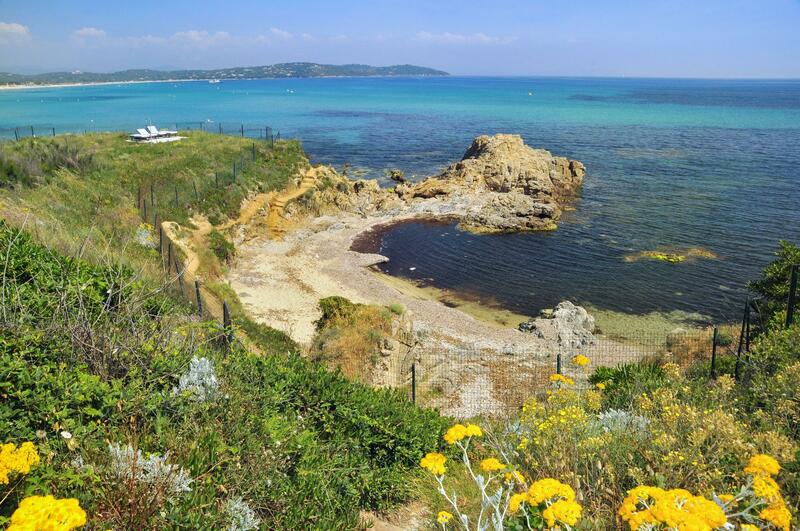 Visit the open air market in Place de Lices and enjoy a drink in one of the trendy bars along the promenade with views across the harbour. 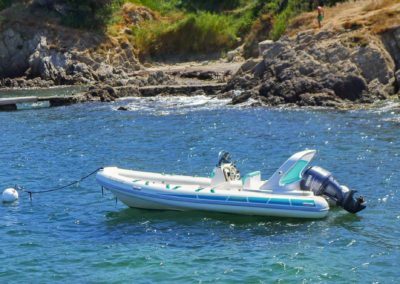 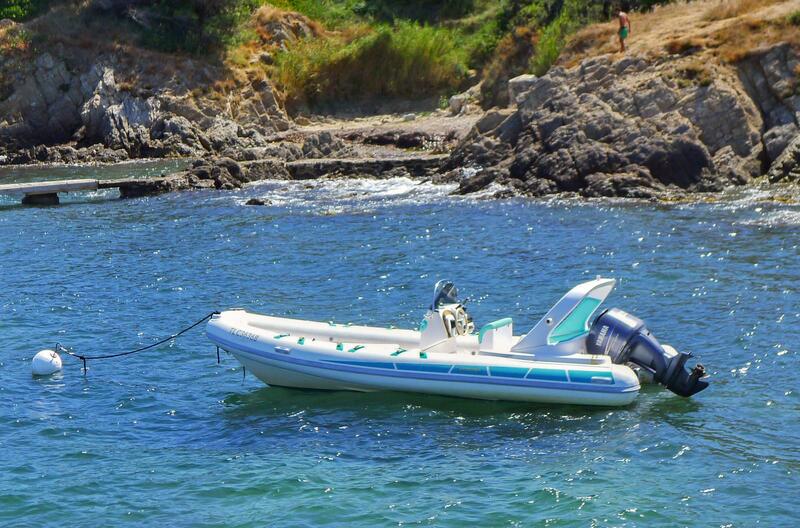 A ferry service connecting St Tropez to Ste Maxime provides an excellent alternative to the car for exploring the area. 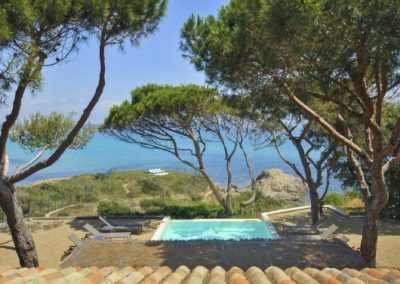 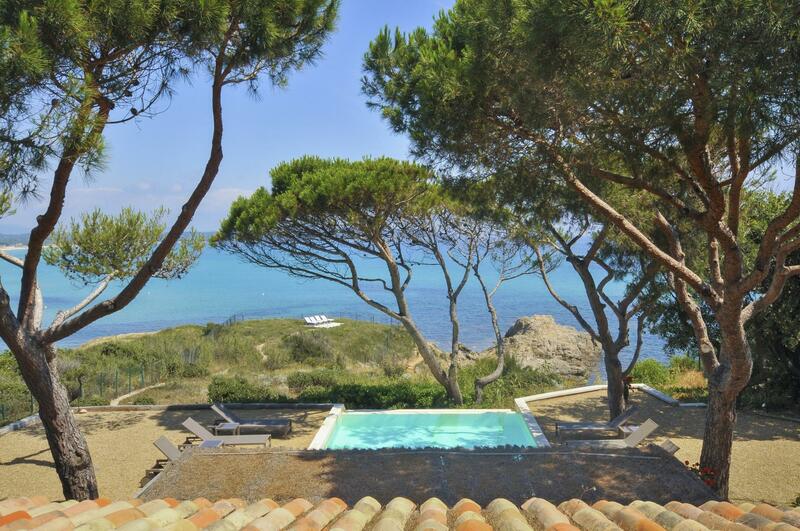 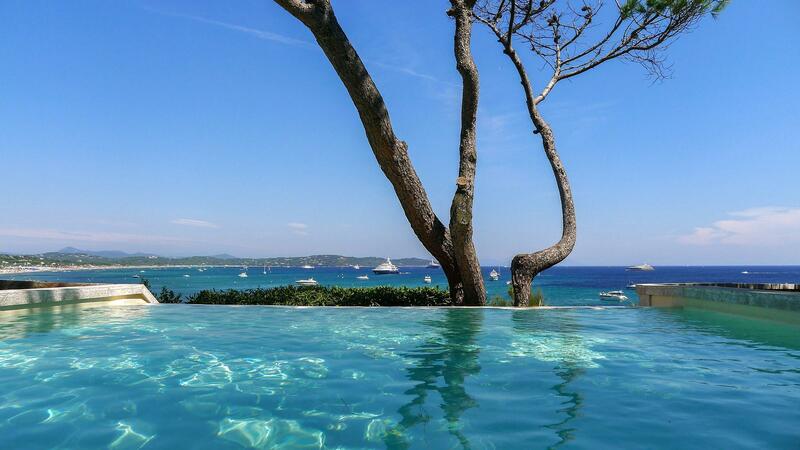 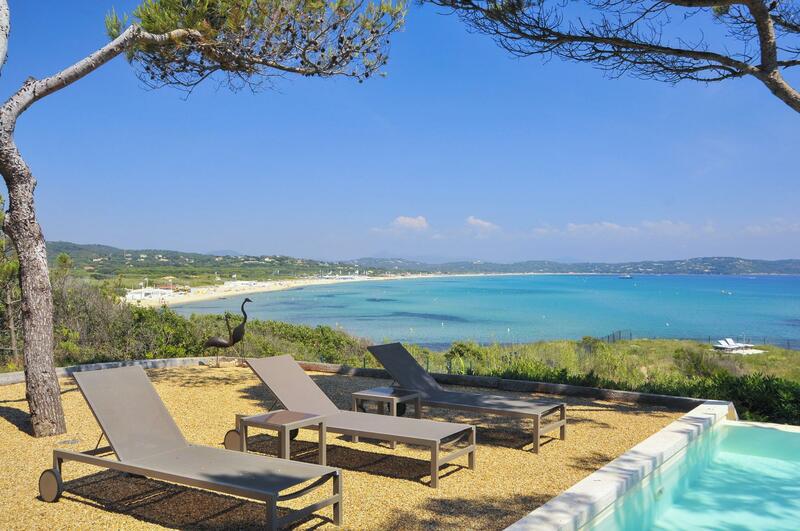 A little further inland, nestled in the hills above St Tropez is the Medieval village of Ramatuelle, commanding striking views over Pampelonne bay. 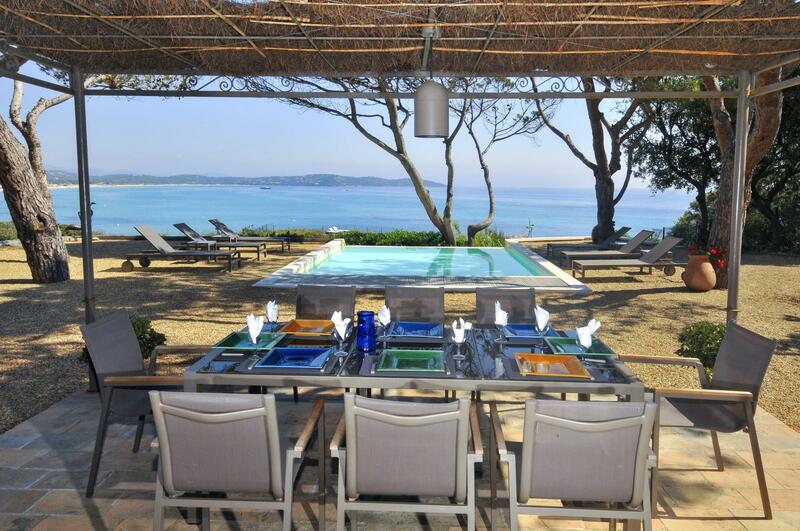 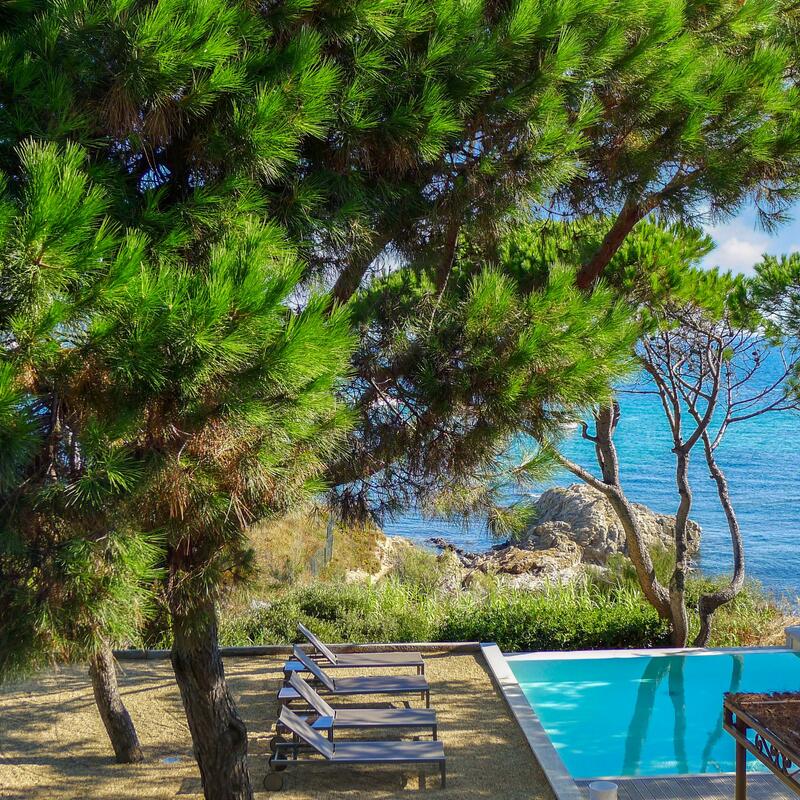 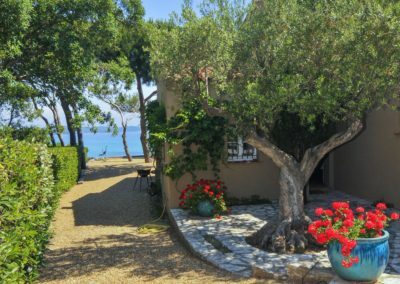 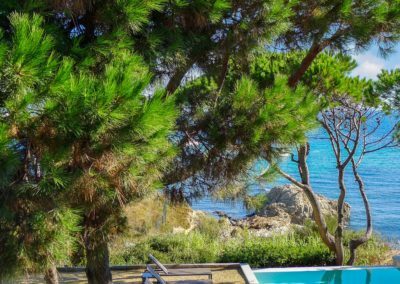 A visit to this delightful village is strongly recommended, and it’s only a few minutes’ drive from this beachfront villa on the French Riviera!